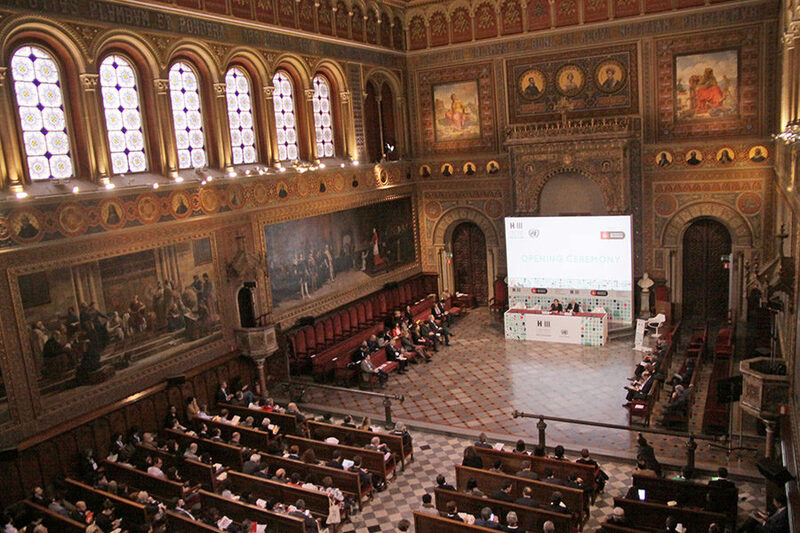 The Habitat III Thematic on Public Spaces, hosted by the Municipality of Barcelona in the Historic Building of the University of Barcelona, kicked off today, 4 April. At the Opening Ceremony, Barcelona Mayor Ana Colau shared the stage with Dr. Joan Clos, Habitat III Secretary-General and former mayor of the city. Over 500 participants from five continents representing a wide range of stakeholders— local, regional, and national governments, civil society, intergovernmental organizations, women and youth organizations, academia and research—participated in a bevy of events that included plenaries and thematic sessions, side events, and the Urban Journalism Academy, which yielded intense discussions on the role of storytelling in Habitat III. Discussions were opened in a plenary session on A New Urban Agenda for Combating Inequalities: Claiming for Public Spaces and a City for All. In the afternoon, the debate focused on the Role of Housing and Its Extension in the Public Space. Tomorrow the Meeting will follow up discussions on Mobility and Production aimed at delivering the Barcelona Declaration as an official input to the New Urban Agenda.